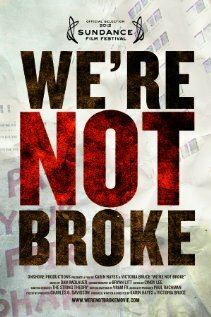 We're Not Broke is a documentary taking a hard look at the tax breaks and loopholes allowed for corporations. It's seriously infuriating. The courts give companies the rights of a citizen, and the legislative branch allows them to get away with welching on what they owe. Crazy-making! 6/10.